April 23, 2019–The Avengers are leaving their imprints on the cement floor outside of the TCL Chinese Theater. That Moment When offers revealing insights into the critical moments that alter the course of a person’s career or shapes who they become. Directed by Frédéric Tcheng. Starring Halston, Liza Minnelli, Marisa Berenson, and Joel Schumacher. The Orchard releasing on May 24, 2019. After last year’s backlash by film critics over changes to its screenings schedule, the Cannes Film Fest has decided to reinstate morning press screenings for movies having their gala world premieres in the evening. 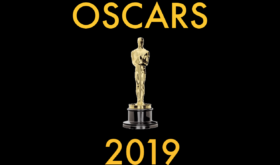 April 23, 2019–The Academy of Motion Picture Arts and Sciences (AMPAS) will not change eligibility rules for the Oscars, despite speculation that streaming companies, like Netflix and Amazon, might see a crackdown on their release practices when pursuing golden trophies. Made by New Line for a modest $9 million and produced by James Wan, The Curse of La Llorona is based on a spooky Latin-American supernatural tale about a vengeful ghost who tries to steal kids. The 72nd Cannes Film Festival unveiled its lineup, boosting the number of female filmmakers in official selection to 13, four of them will compete for the Palme d’Or, the highest number since 2011.